I finally got this classic preppy LL Bean boot, lined in shearling, because my friend Andrea linked to it the other day and I was reminded of last winter and the winter before that, when I tried to get a pair but they were back-ordered until spring. I have wanted these since I spied all the cool girls wearing them in boarding school, and can’t wait until they get nice and beaten up a bit. And I also bought these shearling-lined Vans, which are a lot of luxe for a mere $65. There is a total theme with the footwear in this post. 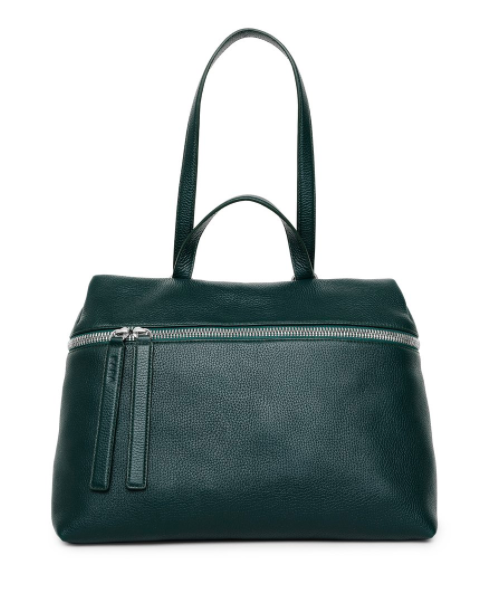 This satchel I’m dying for is such a good bottle green—so dark that it really comes off as a neutral. And it’s nice and roomy and quite suitable for travel, I feel. I tried this leopard print coat at J. Crew the other day, and it’s really pretty excellent: very well-tailored, and with an appealingly fuzzy texture and the just-right length. I didn’t buy it because I already own too many coats, but I’m still thinking about it, a lot. 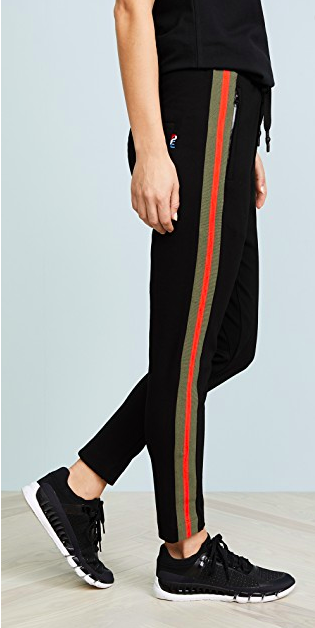 Another item I seriously don’t need but desire very much: this pair of sweatpants—I’m a sucker for a sweat with stripes, and red and army green is such a good combo. It has gotten seriously cold here in New York, and I don’t have the most well-heated apartment ever, so I’m thinking of going for these Birkenstock shearling-lined Boston sandals for kicking around in the house. These are great choices! I do love that bottle green color. 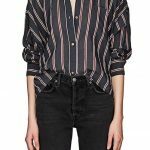 I would love to have a blouse or top in that color, moody and not expected. I haven’t seen any around though. These are great choices! I do love that bottle green color. 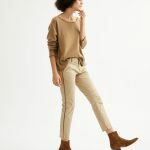 I would love to have a blouse or top in that color, moody and not expected. I haven't seen any around though. I have the shearling-lined Bean boots, and they. are. bliss. As I’m an oldz, I need orthotics for support, and they fit in just fine. I have the shearling-lined Bean boots, and they. are. bliss. As I'm an oldz, I need orthotics for support, and they fit in just fine. I bought a vintage faux leopard coat that is cut like a barn coat and lined in brilliant turquoise. A blast to wear. 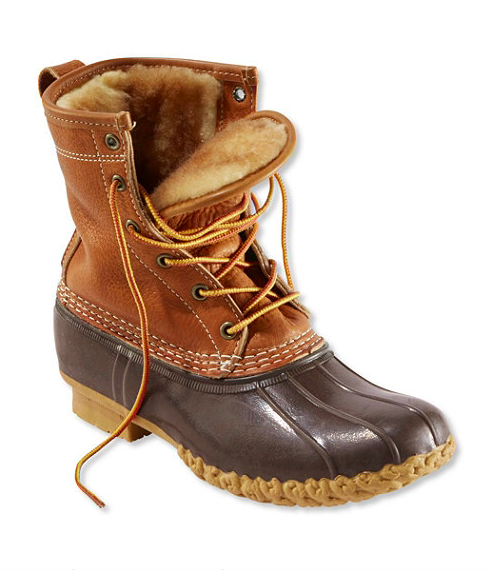 Good sturdy, but cute, choice with the Bean boots. I’m dying for a pair of the shearling lined Birkie clogs for my poor hurtin’ pups! 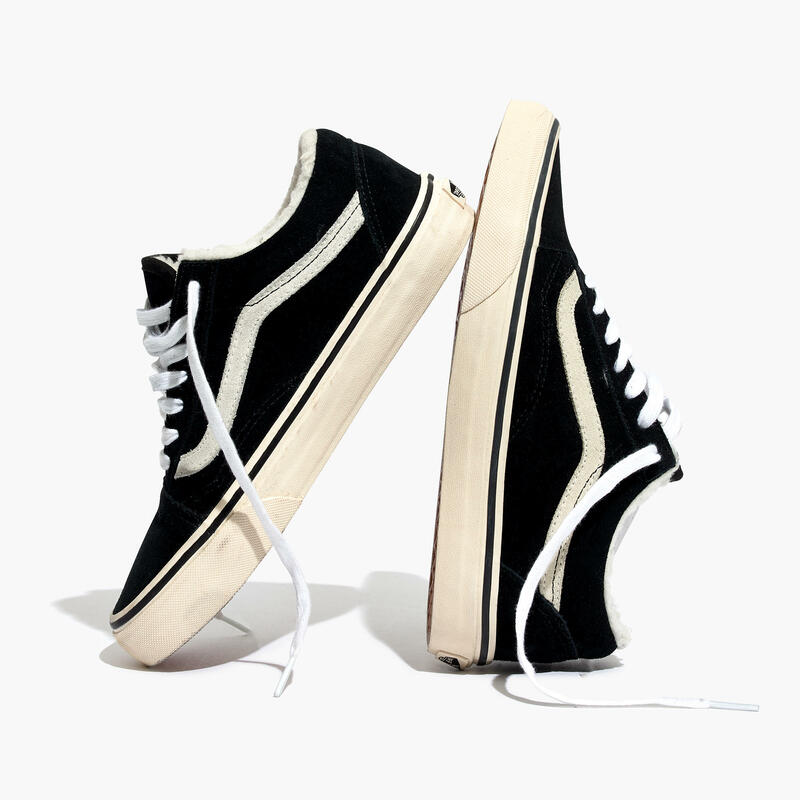 As a size 10.5-11, which size do you GOACA’s recommend? I’m an 8-8 1/2 and wear a 39 narrow in all birks. If your feet are normal width, Val, I’d suggest the narrow. 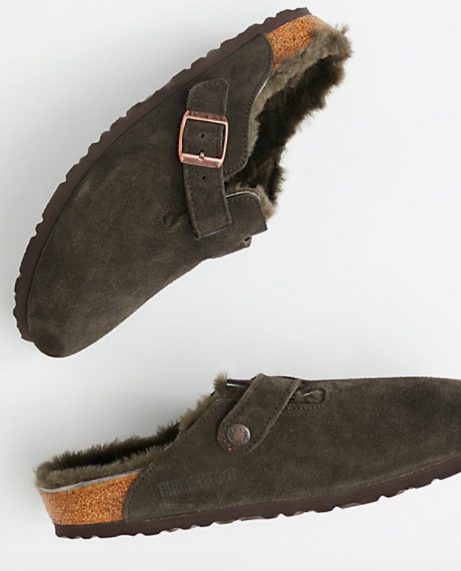 Those Birkenstock Bostons with the furry lining are the nuts. I’m on my second pair – love them. My only complaint is that the shearling wears away pretty quickly in places. Those Birkenstock Bostons with the furry lining are the nuts. I’m on my second pair - love them. My only complaint is that the shearling wears away pretty quickly in places. I have those Birkenstocks for house slippers and they are the best.